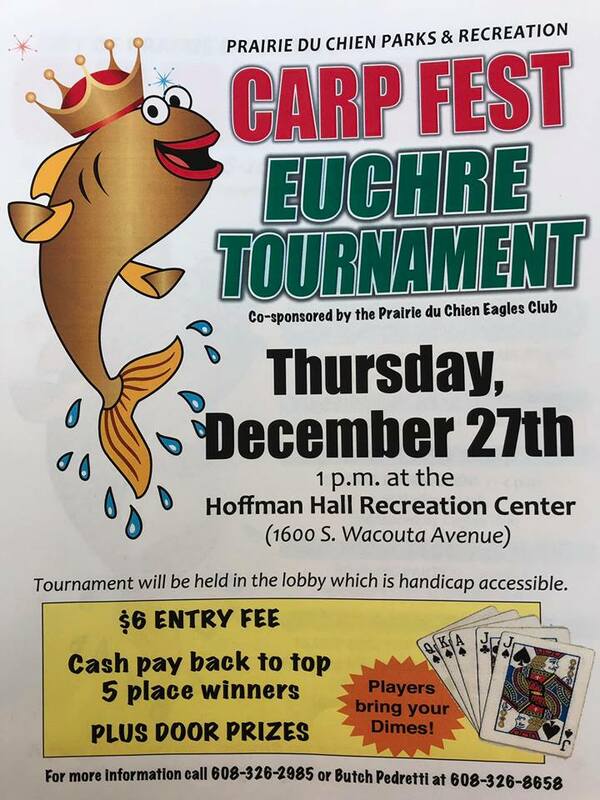 Anyone wishing to get lucky in 2015 will have their opportunity soon, as the 14th annual Carp Fest is nearly upon us. Carp Fest, of course culminates every New Year's Eve with the Droppin' of the Carp at the stroke of midnight in Lucky Park at the entrance to St. Feriole Island. Lucky the Carp is famous worlwide, and people come from around the globe to kiss Lucky on New Year's Eve and enjoy good luck throughout the coming year. Those who smooch Lucky this New Year's Eve may be granted exceptionally good luck in 2015 because, at a whopping 47.4 pounds he is the biggest Lucky ever and is sure to pack much more power in his pucker. "We may have to beef up the crane this year," said new Carp Master Shawn Redman, notng Lucky's increase pundage. "Everyone should get here early to get a kiss with Lucky's luscious lips." 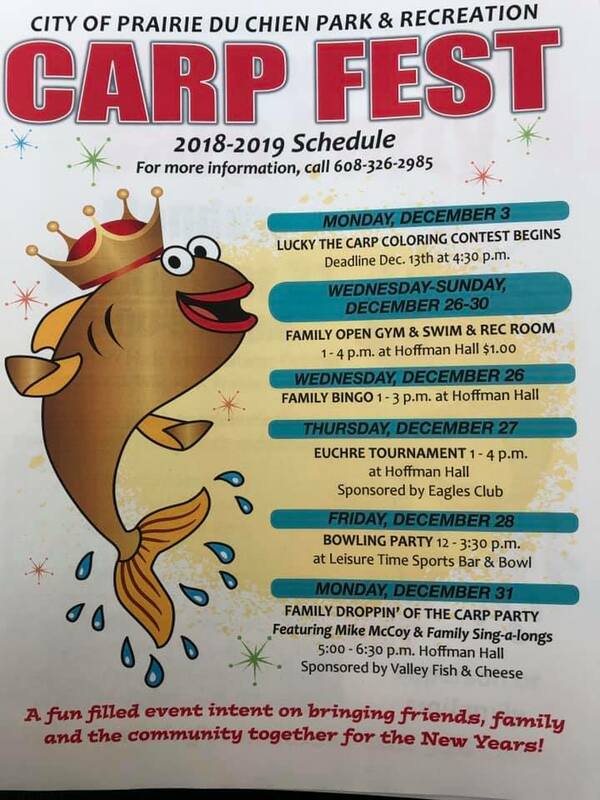 Along with Lucky being bigger, the annual Carp Fest continues to grow as well. "Come on out, it keeps getting biggerand better each year," said Redman. "You never know what surprises might arise." 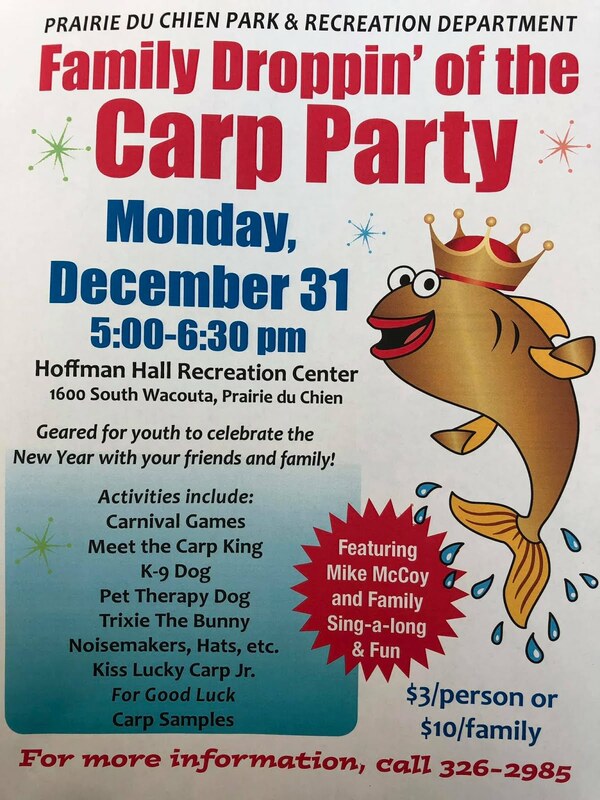 The week-long Carp Fest and especially the Droppin' of the Carp have been quite cold the past two years, but Redman predicted a change for this year's event. "I called in a favor," he said, "I promise it wil be balmy." Ted Pennekamp - Courier Press.